I hope this post helps others. 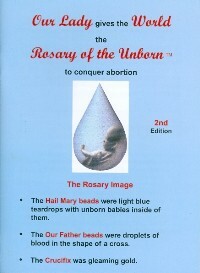 I want to take a moment to recommend to everyone that they pray the Rosary of the Unborn, as promoted by Holy Love Ministry (http://www.holylove.org and http://www.rosaryoftheunborn.com). As promised by Heaven, each Hail Mary prayed on this particular rosary saves an unborn infant from abortion. 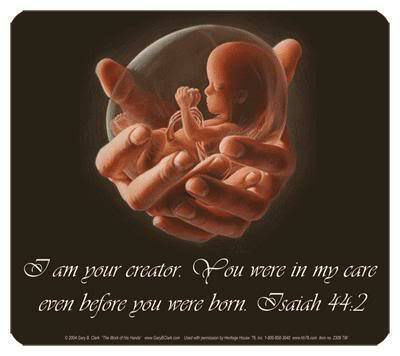 This means that more than 50 unborn infants can be saved by praying one set of Mysteries. 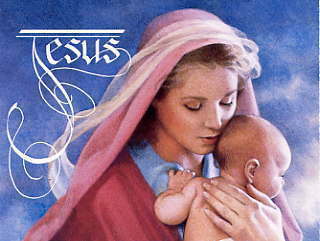 There are many blessings attached to praying with the Rosary of the Unborn. It withholds God’s Arm of Justice and appeases the Most Sacred and Sorrowful Hearts. Also, one Rosary of the Unborn is good for a group of people, because the graces and promises are multiplied. For me, buying a single Rosary of the Unborn is expensive, because they are delicate and fragile, and I have clumsy hands. 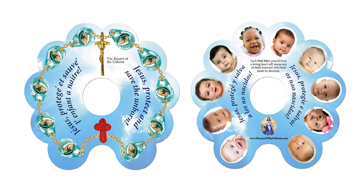 So, I pray instead with the Rosary of the Unborn finger card, which has the same graces and promises as the regular Rosary of the Unborn. The finger card is a lot more durable, because it is made of thick quality paper and laminated. Also, it is less expensive, because you can purchase a packet of 25 for the same price of a single regular Rosary of the Unborn. So, you can share and give away the finger cards to many people. 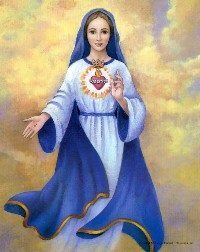 I know that some may object to having to purchase this special sacramental to receive the heavenly promises, but it is no different from having to purchase a Miraculous Medal of Our Lady, which most of us cannot create on our own and has heavenly graces attached to it. Also, if you do pray with the finger card and can only take advantage of the ‘free offer,’ I highly suggest that you keep the finger card in a plastic wrap of some sorts and do not directly touch the card. Because, based on my experience, after awhile, the lamination will come apart from the finger card and it will get ripped and the images faded off. Since I pray along with a rosary recording (see the bottom of this blog page for recordings of the pro-life rosary that you can pray along with), I actually only hold the finger card during the opening prayers, because I do not need to count Hail Marys on beads or anything. So, using a rosary recording to pray with will increase the longevity of using the finger card.